Nine out of ten Floridians rely on groundwater as their source of safe, clean drinking water. But there are many hazards to the water supply, including agricultural chemicals, petroleum products from underground storage tanks, nitrates from livestock operations, pesticides and fertilizers, just to name the most prevalent. The fact that Florida has such a high water table, beneath a very thin layer of soil and limestone, makes it even more vulnerable to potential contaminations. Septic tanks, drainage wells, hazardous waste sites, power plants, and landfills are all vulnerabilities in this state. 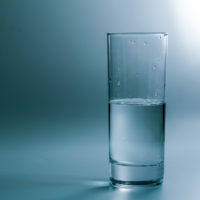 Although periodic testing occurs to test for toxins, there is still a potential for disaster when it comes to safe drinking water. One study on water-supply problems in southwest Florida concludes that most issues are directly connected with modifications to the environment made without sufficient consideration of the effects. This human activity can result in calamitous sea-water intrusions and resulting water shortages that require immediate attention, or gradual increases in toxins that may not raise a red flag for long periods of time, but that could ultimately be disastrous for water users. Although the state is systematically working to prevent problems associated with water contamination, “the magnitude and complexity of the problems are increasing at a rate greater than the means of resolving them.” What happens if you are faced with a water contamination problem that causes you to become seriously ill? Perhaps a good personal injury attorney could help. Physical: Organic materials that impact physical properties of water. Acute short-term reactions to contaminated water may include intestinal reactions, dehydration, and malaise that lasts a few weeks or longer. But it’s long-term exposure to contaminants that may be more nefarious. Researchers who have studied the issue of contaminated water throughout the country have serious concerns: six million Americans have been exposed to at least one water sample measuring outside EPA guidelines for safety. And one of the states with the most serious toxic water supplies: Florida. The consequences of long-term exposure to pollutants may be dire: one study concludes that individuals exposed to polyfluoroalkyl substances (PFASs) produced fewer antibodies for diseases such as diphtheria, tetanus, influenza and measles. There is evidence that these chemicals impact allergies, autoimmunity and cancers. If you or a loved one has encountered serious illness and you believe contaminated water is the culprit, contact the legal team at the Law Offices of Robert W. Elton in Daytona & Ormond Beach. The initial consultation is free and confidential.